When thinking about a door that will last a lifetime it is important to consider door shapes, door thickness, sturdy materials and finishing. There is no substitute for a solid wood door. The sturdy materials used are expensive initially, but they pay for themselves in building character and durability in the long run. Natural building materials like wood have an organic beauty that cannot be reproduced by synthetic substitutes. We are proud to offer two series of stile and rail Captiva Wood Doors, as well as a Flush Series door. 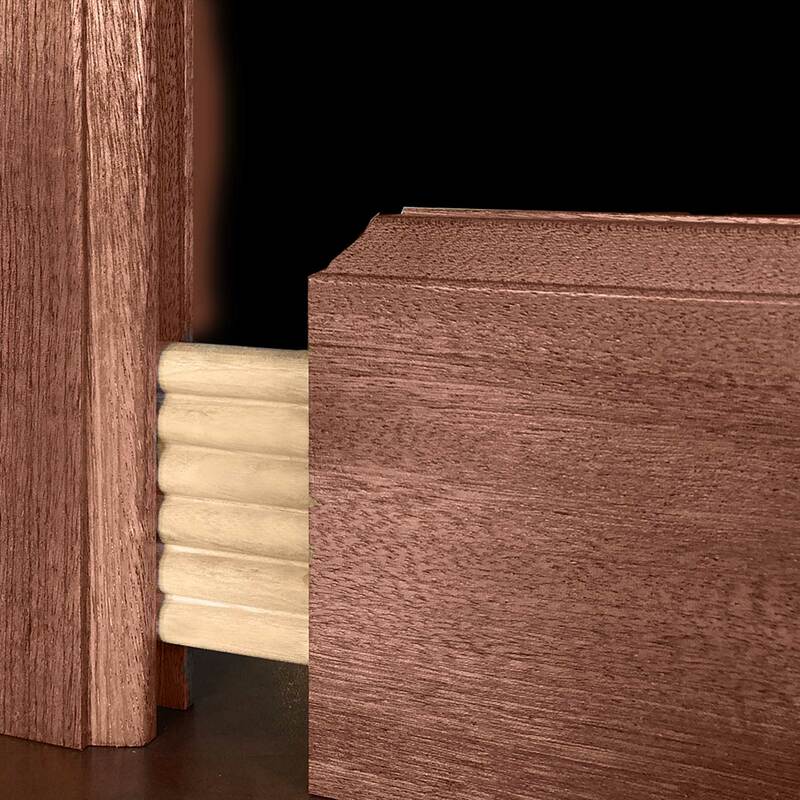 Captiva Select Doors are crafted with beaded joinery, 1/8″ veneers and a standard two year warranty. Our Captiva Traditional Doors are constructed the way craftsmen have been making doors for centuries, using traditional mortise and tenon joinery and 1/4″ veneers. Constructed to the highest specifications, these doors use state-of-the-art beaded mortise and tenon joinery combined with stave core stiles and solid rails to ensure that every door is straight and true for years. 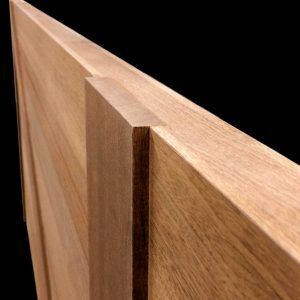 Tight fitting beaded mortise and tenon joinery is far superior to the doweled joints that most other door manufacturers use. Our beaded mortise and tenon provides more surface area for glue adhesion vastly increasing the strength of the joint. Optional stave core rails available. Captiva Select doors meet AWI Premium standards and specifications when book match panels are specified. Made with traditional mortise and tenon joinery, stave core stiles and rails, and 1/4″ veneers, these doors are for the purest who appreciates a door that is made using classic door making methods. Captiva Traditional doors meet AWI Premium standards and specifications when book match panels are specified. 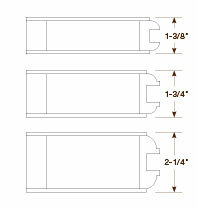 Note: A certain number of Traditional doors will be run on our CNC due to multiple curved rails, ie: door #8010, 8015A. These exceptions would still have 1/4″ veneers, 5 year warranty and stavecore rails. 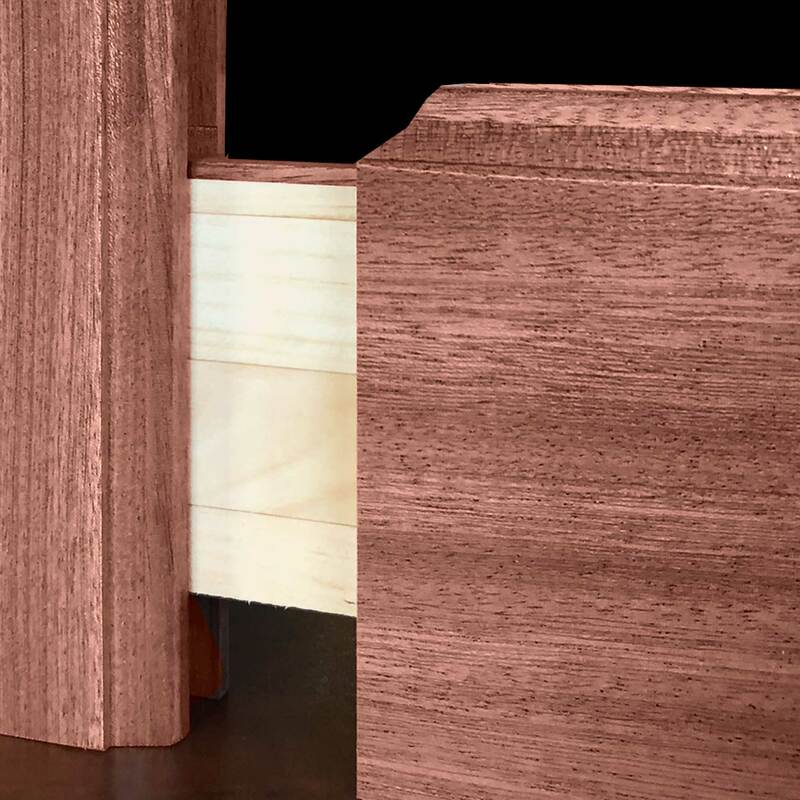 With no stile or rail, Captiva Flush Series doors are constructed with a plywood core, hardwood edges and 1/4″ wood veneers. For crossbuck or other details, panels are inlayed to create a stronger bond, and make the door more resistant to water damage. 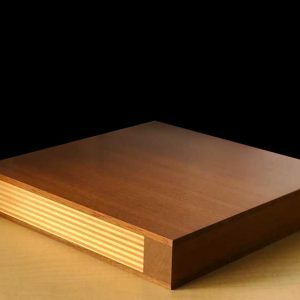 This environmentally friendly method of construction uses laminated, stable, wood core sandwiched between solid veneers and matching edges for a stile and rail that are superior for preventing warping or distortion. Stiles may be laminated on certain applications. For a finished look, Traditional Series doors have a solid wood top rail cap on stiles to hide the stave core. This is a great option if the top of your door is visible from a higher level when it is open. (Not available on Select Series). Depending on size, sidelites and transoms are constructed with solid rails and stave core stiles. 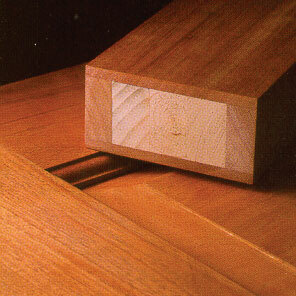 Veneers will match door (1/8″ for Select or 1/4″ for Traditional). To help you coordinate all of the doors in your home, Captiva doors are made for both interior and exterior use. 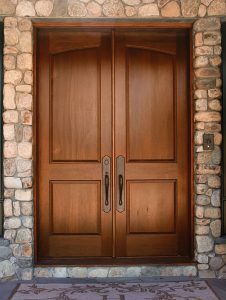 Builders, architects, and designers often consider the interior and exterior doors as two different design elements. Captiva allows both the interior and exterior doors to be supplied by one manufacturer with matching details in panels, sticking, and specie. As pictured above, matching the species of wood for all your doors, even if the individual designs of the door are not the same, will give you a unified look throughout the home while maintaining visual interest. 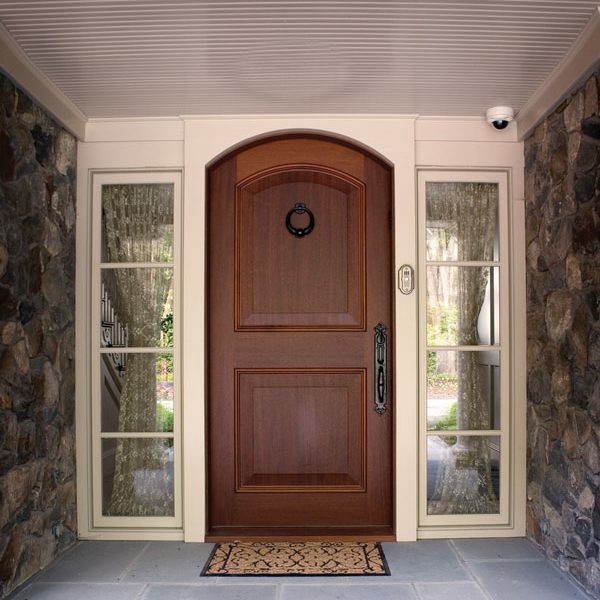 We offer three standard door thicknesses: 1-3/8″, 1-3/4″, and 2-1/4″. Our 1-3/8″ doors are recommended and warranted for interior use only. Custom sizes are available upon request. Taking into consideration the architectural style of your home or the look that you want to achieve, Captiva Wood Doors are available in our standard shapes of square, arched or round. We also make custom door top shapes which are often seen in churches, historical renovations, commercial applications or home that require a truly unique look. To maximize architectural integrity, Captiva Wood Doors are also available with clipped corners for doors that meet an angled ceiling (such as in an attic or under a stair). Every Captiva Door begins with premium select grade lumber. We meticulously gather wood from around the globe to ensure that every door we make is of the highest quality. The boards and veneers that go into constructing each door are hand selected so that grain and color are consistent. When your project requires a specific species not listed below, let us call on our lumber suppliers from all over the globe to find it. 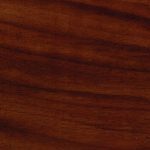 Sapele and Utile are very similar to Honduras Mahogany with a regular striped pattern and a dark red-brown color. This species sands and finishes easily and smoothly. 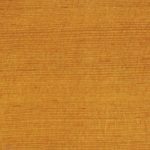 Sapele is used for Paint Grade doors and Utile is used for Stain Grade. This hardwood varies from light to dark reddish brown. The texture is rather fine and uniform to coarse and uneven. Spanish Cedar is considered naturally decay resistant. 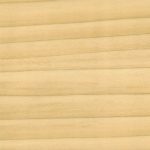 This is a dimensionally stable wood with a straight grain, uniform in color, pattern and texture. Its light warm hue will become more red with age. Fir stains easily and smoothly. This softwood is light brown in color, often with a reddish tinge and turns darker on exposure to air. 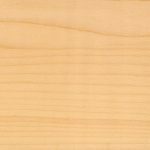 Eastern White Pine features a comparatively uniform texture and is straight grained. 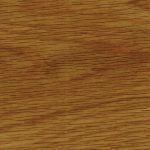 White Oak is primarily warm in color with a hint of ash. It’s grain pattern varies from straight and tight to arched and dramatic. White Oak stains well for an excellent finish. 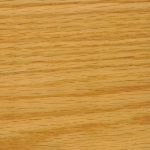 White Oak is used for Stain Grade and Quarter Sawn White Oak is used for Paint Grade. Reclaimed wood is seasoned lumber that has been salvaged from abandoned barns, factories and industrial buildings. 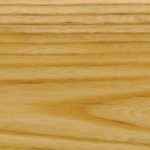 Some common types are: pine, elm, cherry, chestnut, walnut, hickory, maple, and quartersawn oak. This hardwood is light in color and may feature dramatic dark color variations. Poplar is mostly painted or used with dark stains. 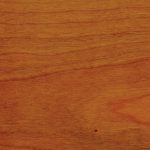 The texture of Red Oak features a very strong grain pattern which ranges from fine, straight, and close to spread and pronounced. Red Oak stains well for an excellent finish. 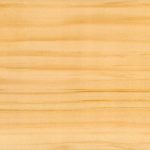 Maple is strong and hard with a uniform color, texture, and grain. It sometimes features areas with dark streaks and birds-eye or worm track patterns. If left clear, maple may yellow with age. 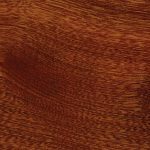 Cherry is characterized by its warm color, smooth texture and straight, fine, and tight grain. 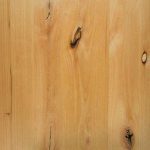 Cherry may contain some sapwood and/or pin knots and will darken over time. Ash ranges in color from brown to nearly white and may display a dramatic grain pattern. It is popular in woodworking because it is heavy, strong, hard, and stiff. 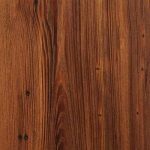 Walnut is characterized by its beautiful grain lines running throughout and its dark brown color. Walnut veneers may be laminated for width and contain some sap grain and pin knots. 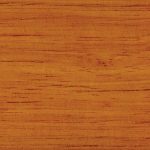 This softwood is characterized by its warm yellow to reddish brown color, even texture, straight grain and tight knots throughout.